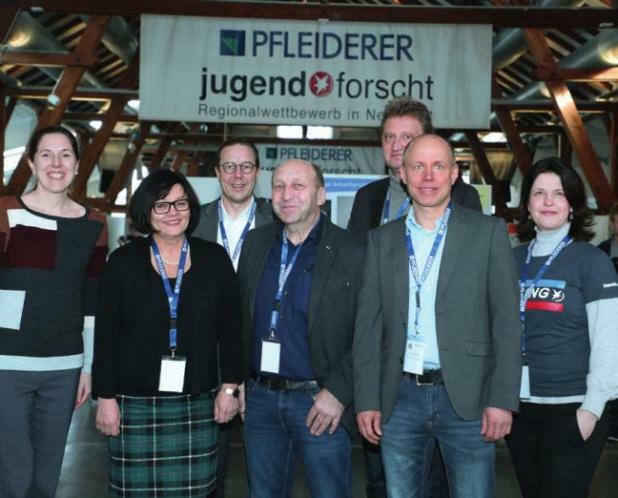 Pfleiderer in Neumarkt has already set up the regional youth research competition ‘Jugend forscht’ for the 23rd time and, as in the previous years, company trainees have taken part with plenty of enthusiasm – a commitment where there are only winners. 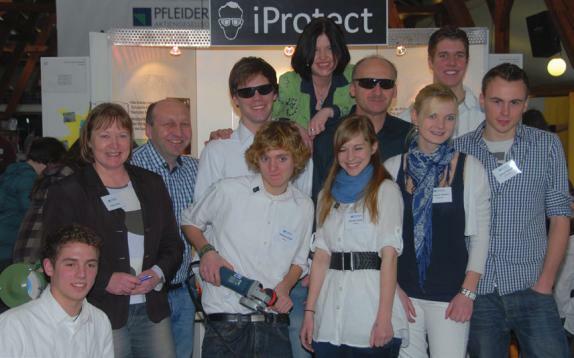 Pfleiderer has been supporting everyone involved in the ‘Jugend forscht’ initiative with great pleasure for 22 years now. There from the very beginning: Head of Training Andreas Götz (below, middle). In 1965 Henri Nannen, editor in chief of the ‘Stern’ magazine, announced the competition under the ‘we seek the researchers of tomorrow!’ principle. One of the goals was to inspire young people to take up mathematics, IT, sciences and technology. 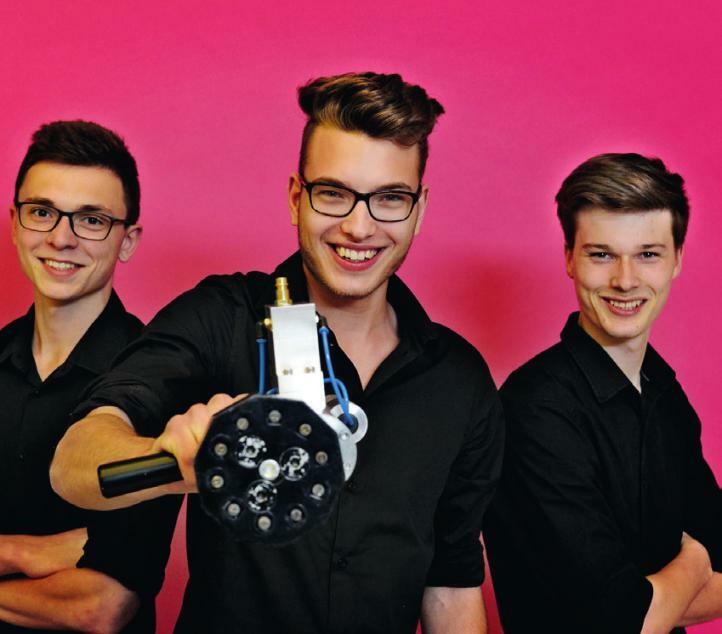 Today ‘Jugend forscht’ is a joint initiative of ‘Stern’, the German Federal Government, business, science and under and the patronage of the Federal President. This regional competition takes place in many locations in Germany. The winners are then qualified for the Federal State competition and the winners there qualify for the national competition. 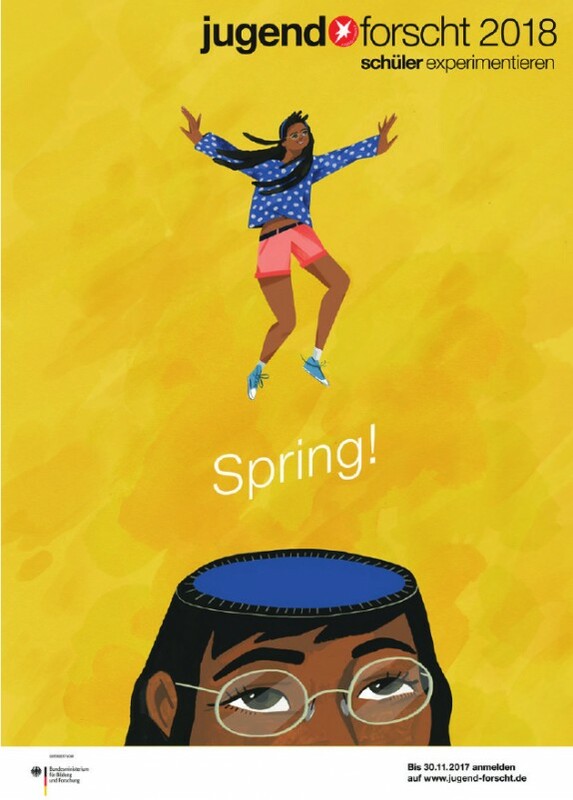 Young people from their 4th school year until their 21st year can take part. This competition is well-known among the public, above all for schoolchildren. Participation is also possible for apprentices. ‘Jugend forscht’ boosts personal and social skills. These include project management and the ability to give presentations with confidence. As Andreas Götz puts it, “There are also many setbacks in a project phase. How do young people handle this? How do they learn from this and what do they change? The participants benefit from this experience throughout their professional lives.” These insights are also extremely significant for Pfleiderer. As Mr Götz points out, “We have the opportunity as a company to get to know talented people in many different ways and to plan and promote their individual development at an early stage”. So basically all the Pfleiderer trainees in Germany can take part in the ‘Jugend forscht’ competition. “The company makes space, time and funds available for this, so the trainees can prepare themselves as best as possible”, said Ms Janka. Trainees regularly take part in projects and competitions with their own ideas. They gain valuable personal and professional experience in the process and sometimes they also make it to the winners’ podium. Like Christoph Hecker, Jakob Götz and Florian Otto (picture above) last year. In the World of Work division they even qualified for the national competition and won second prize. Their project was called SiloRail. A fall arresting device for agricultural silage heaps. which the trainees then used for their applications to participate. “Many proposals today are in the context of safety at work, as this is already a key area and where each employee benefits immediately from any improvements”, Mr Götz explained. It is clear to everyone here that developing and implementing a project idea does not succeed on its own. Mr Götz knows from many years of experience that people’s free time and many a private arrangement will take a back seat during the hot phase of a project – but everyone wins in the end. 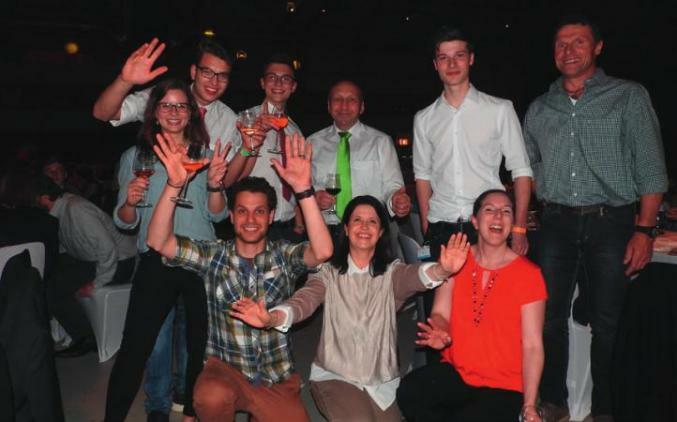 “No matter whether you get a step further, win a prize or not – the new experiences, both professional and personal, carry these young people forward.” More than 190 Pfleiderer trainees have taken part in ‘Jugend forscht’ over the last 22 years. The regional competition was won 24 times, the state competition seven times and once Bernhard Strobl and Dominik Rupp were able to become national champions in 2008. Numerous top rankings and special prizes came on top of this. In view of the very good experience gained, this initiative is currently being extended from Neumarkt to the other Pfleiderer locations in Germany. 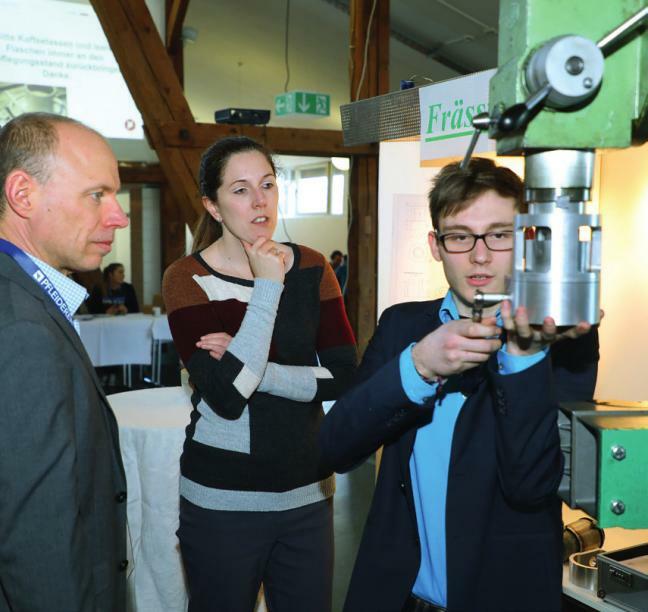 “We are encouraging our trainers to take more advantage of ‘Jugend forscht’. They are the people in our company locations who motivate and support the trainees”, said Mr Götz.